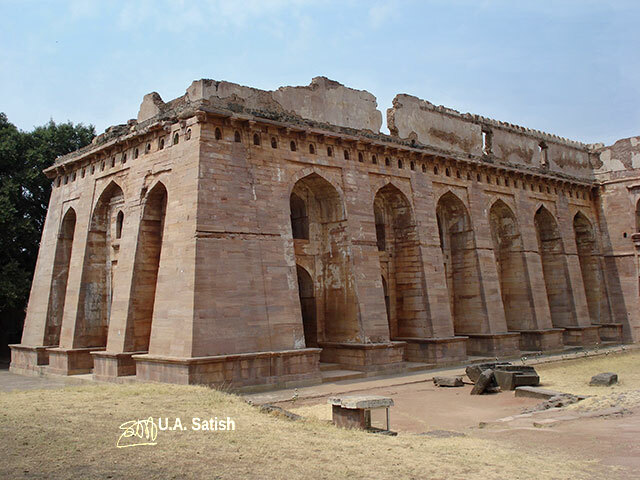 Mandu is a ruined city in the Malwa region of Madhya Pradesh. 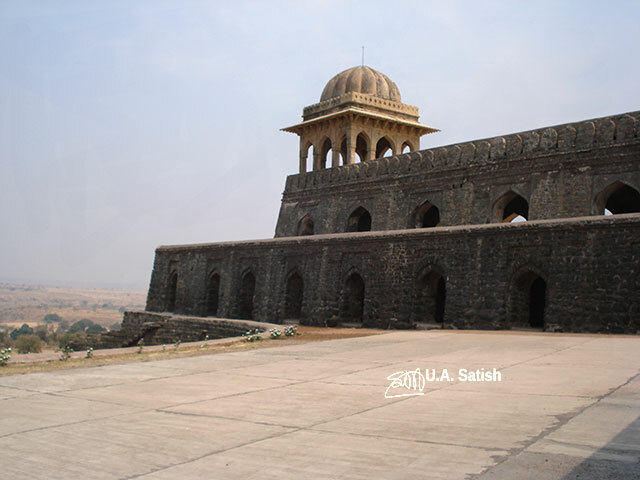 This fortress town is 94 km from Indore, a drive of 1 hour 55 minutes without traffic. The fort walls enclose a number of palaces, mosques and temples. 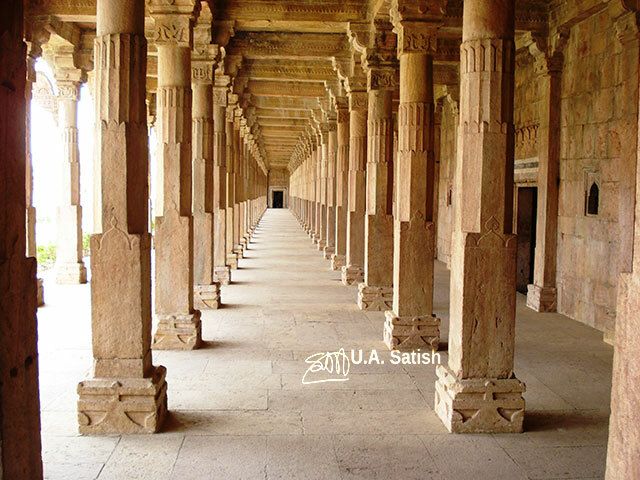 Picturesque Mandu is noted for its Afghan architecture. 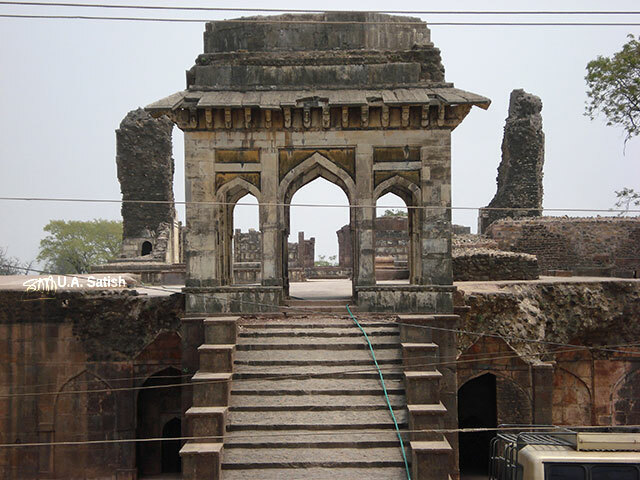 Hoshang Shah’s tomb in Mandu may have been India’s first marble building. The tomb is crowned by a crescent thought to have been brought from Persia. 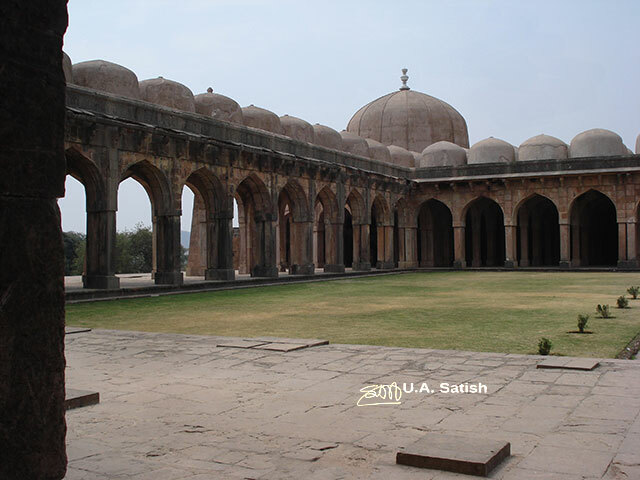 According to legend, Rupmati Pavilion was erected by Baz Bahadur because he wanted to persuade Rupmati, a beautiful Hindu singer, to move to Mandu from the plains. However the love story had a tragic end. Tempted by tales of Rupmati’s beauty, Akbar marched to Mandu. Baz Bahadur deserted the fort and Rupmati consumed poison. Rupmati Pavilion is built on a rocky cliif, 366 metres above a vast plain. 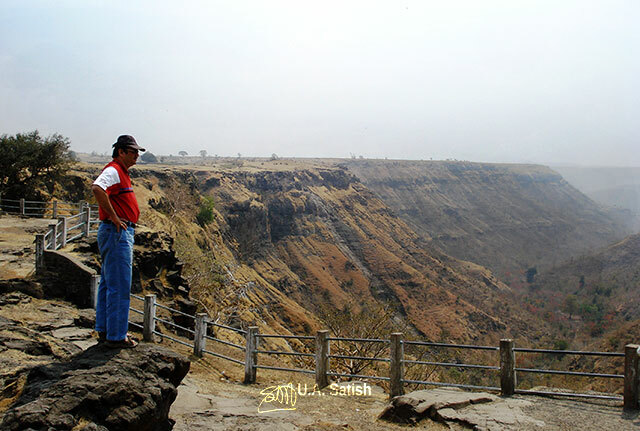 From its domed pavilions, you can catch a glimpse of the sacred Narmada river in the distance. The surrounding areas look barren and sparsely populated. The Hindola Mahal, meaning Swing Palace, is so named because of its sloping side walls. This place was used by Mughals as a place of leisure. This large red-stone structure was supposedly inspired by the Omayyed Mosque in Damascus, Syria. It can be seen even from a distance due to its dominant size. Jama Masjid is probably the finest and largest example of Afghan architecture in India. 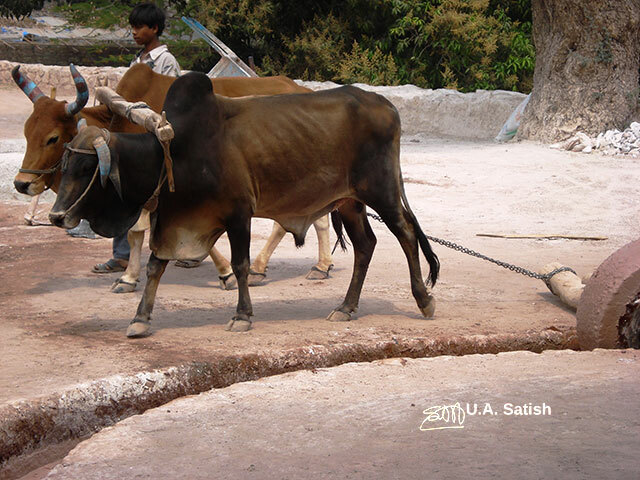 The bulls pull the grinding stone behind them and go around endlessly in circles. This age-old way of making lime mortar is still continued in Mandu. 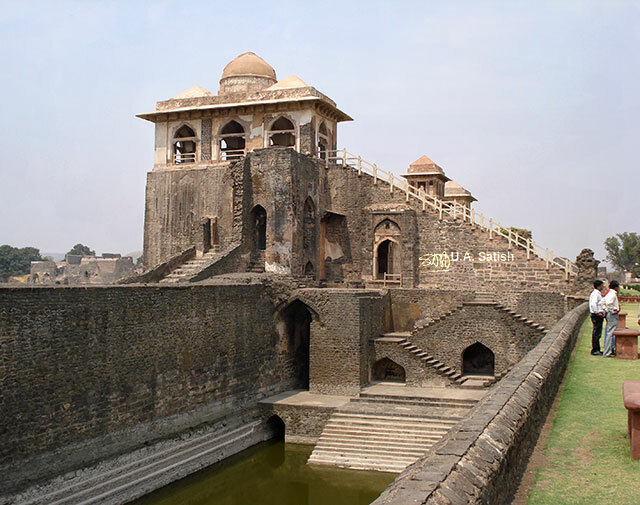 Built in the fifteenth century, Jahaz Mahal is the most famous building in Mandu. It is built on a narrow strip of land with a small upper storey like a ship’s bridge. It was created by Sultan Ghiyas-ud-din Khilji who is reputed to have had a harem of 15,000. 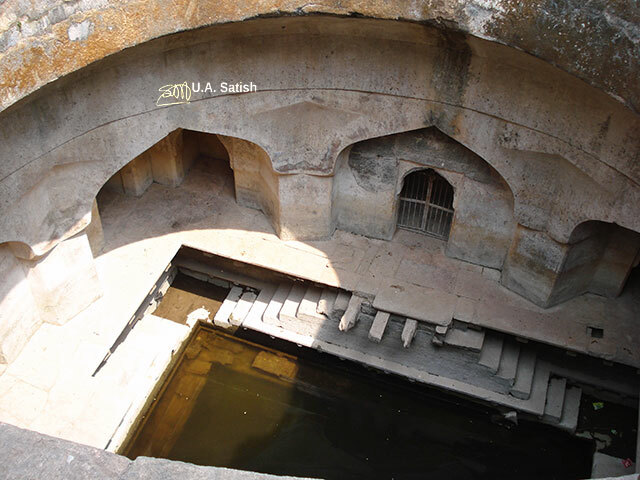 This intricately built step well, also known as Champa Baoli, was inspired by the Turkish baths. It was named Champa Baoli because the aroma of the waters was believed to resemble that of the Champa flower. Ashrafi Mahal was initially a madrassa before Mahmud Shah Khilji decided to convert it into his own tomb. The building is an empty shell, but intricate pillars can be seen at the top of the stairs. 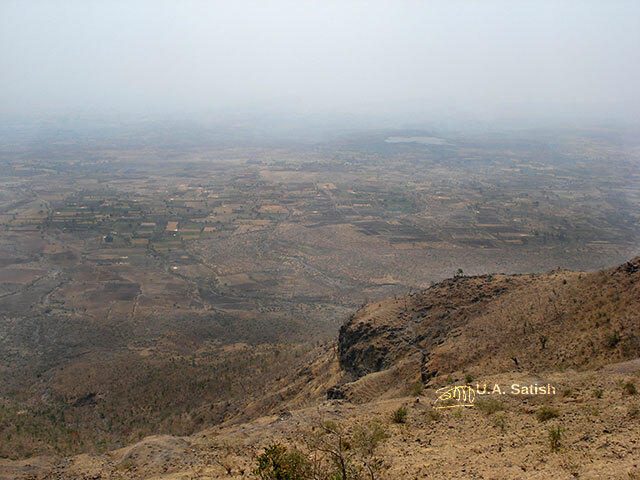 Malwa occupies a plateau of volcanic origin. There are deep ravines in the area. Vegetation is sparse and trees can be found only at the bottom of the gorges.